Xiaomi Mi 8 Lite was launched in China under the name Mi8 Youth Edition. Xiaomi is now going to launch a new variant of Light 8 lite in China soon. Mi8 Lite alias Mi 8 Youth Edition will be launched on November 16, with the new 4 GB RAM and 128 GB storage variant. Please note that there are already three models available in China that come with 4 GB RAM / 64GB, 6 GB RAM / 64 GB and 6 GB RAM and 128 GB storage. Xiaomi's official account on the Chinese site Weibo has confirmed that Mi8 Lite's 4 GB RAM and 128 GB storage variants will be launched in China on November 16. However, the company has not disclosed the price right now. Remember that the 8th light was launched in China in September. Its 4 GB RAM / 64GB storage variant costs 1,399 Chinese yuan (about 14,600 rupees). At the same time, the price of 6 GB RAM / 64 GB model is 1,699 Chinese Yuan (about 17,700 rupees) and 6 GB RAM and 128 GB storage variant is priced at 1,999 Chinese yuan (about 20,900 rupees). Mi8 Lite can be launched globally soon after China. 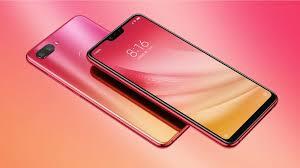 The dual-sim Xiaomi Mi 8 Youth Edition will be on the top with 6.26 inch Full HD + (1080x2280 pixels) LCD panel. Its aspect ratio is 19: 9. Qualcomm Snapdragon 660 processor for speed and multitasking has 6 GB RAM with AIE. Save the photo, video and other things to get 128 GB storage variants. Now talk of a camera. There will be two rear cameras for photography. A primary sensor will have 12 megapixels and a secondary sensor will be 5 megapixels. The 24-megapixel Sony IMX 576 front camera can be for Selfie. Face unlock support can also be provided for security. The Mi 8 Lite will have 3,350 mAh battery, which will be equipped with Qualcomm Quick Charge 3.0 technology.